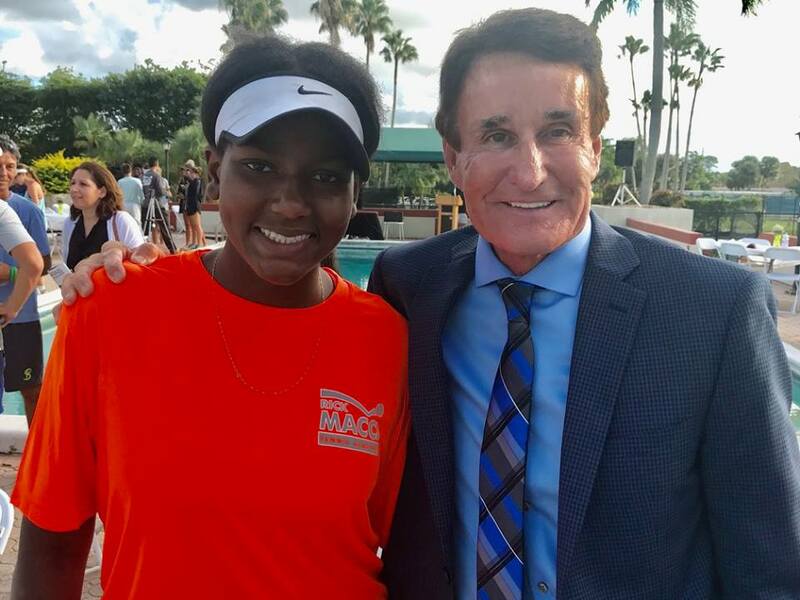 In 1985, off a beaten path in Haines City, Florida, at the luxurious Grenelefe Golf & Tennis Resort, Director of Tennis, Rick Macci, literally created a “miracle in the orange groves” with his passion, knowledge and drive to develop young athletes and change lives. 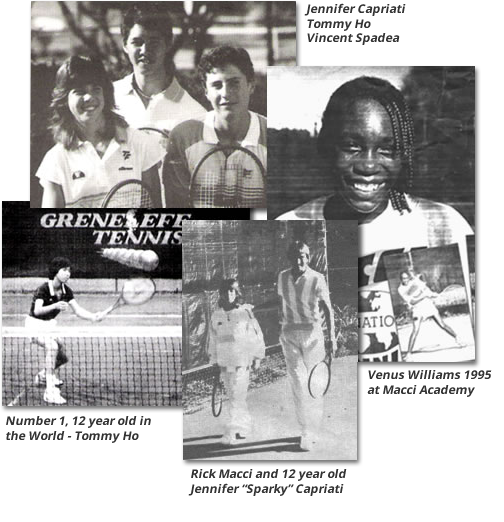 The Rick Macci Academy (RMTA) evolved from the enormous success of 15 year old, Tommy Ho and 12 year old, Jennifer Capriati, still to this day, the youngest to win the Boys and Girls USTA National 18 under Championships. The Macci name and reputation is the leader in real junior development. The biggest difference between then and now is Rick is available to help any player of any level one-on-one. From 3-years olds to touring pros, Rick is the ONLY world-class coach at an academy to teach anybody…any day…one-on-one. The Academy never has more than 50 students to insure the highest quality and personal attention. Rick’s teaching philosophy is what separates the Macci System from all the rest. It is Rick, one-on-one and a boutique Academy for a great drilling, grooving match-play, and fitness. RMTA offers the best high performance training in the world. Rick Macci along with sports science guru, Brian Gordon, provide a One/Two Punch that is recognized as the best in the tennis industry. The youngest ever to be inducted into the USPTA Hall of Fame. 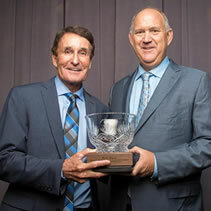 October 2017, Rick Macci, recognized as the number one junior development coach in the world, was inducted into the United States Professional Tennis Association (USPTA) Hall of Fame. 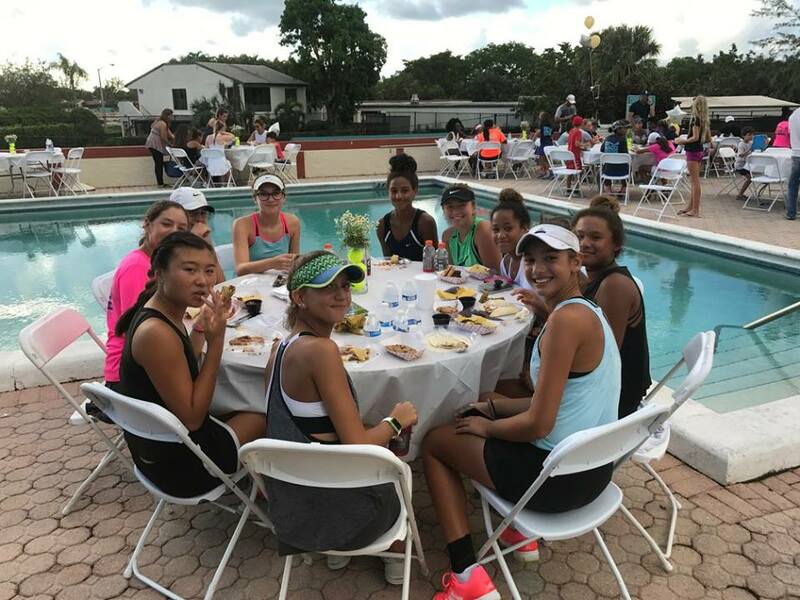 With over 247 USTA National Championships since 1985, the legendary teacher has coached five number one players; Venus and Serena Williams, Jennifer Capriati, Andy Roddick, and Maria Sharapova as well as hundreds of world class professionals. Only 19 coaches, in the hundred-year history have achieved induction into this prestigious fraternity, and at age 62, Rick is the youngest ever. Macci has been an instructional editor for tennis magazine for 30 years. 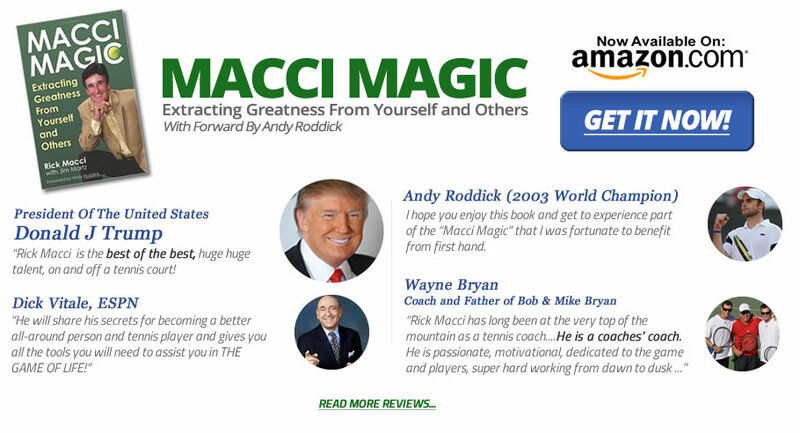 A high demand motivational speaker, clinician, and author, his award winning book, Macci Magic, a self-help novel and a snapshot of players Rick has coached, is one of the most read tennis books ever. Rick has also consulted for Trump Management from 1998 to 2004. 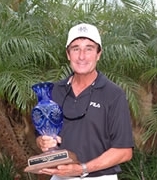 Macci, along with the USPTA, has produced many award-winning videos and his Improved Forehand Technique with Rick Macci video delivered more than a million views on YouTube. Macci is in the Hall of Fame for Basketball and Tennis in his hometown of Greenville, Ohio. 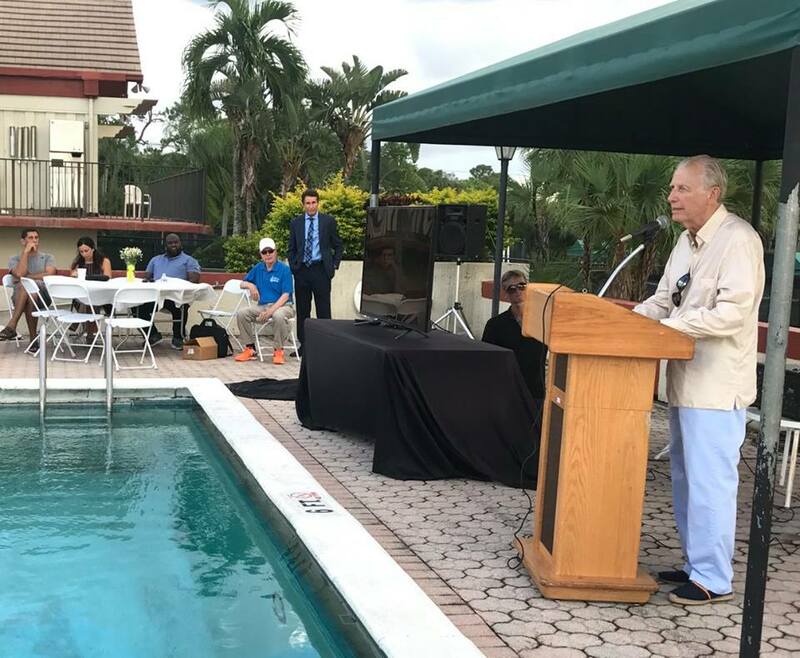 He was honored recently by the USTA with the USA Legendary Coach Award. Rick will personally explain the developmental game plan for your child and evaluate where they are genetically, technically, strategically, and mentally, through a private lesson. Rick will set the “blueprint and foundation” and personally deliver it better than anyone, no matter what the student’s age or level. 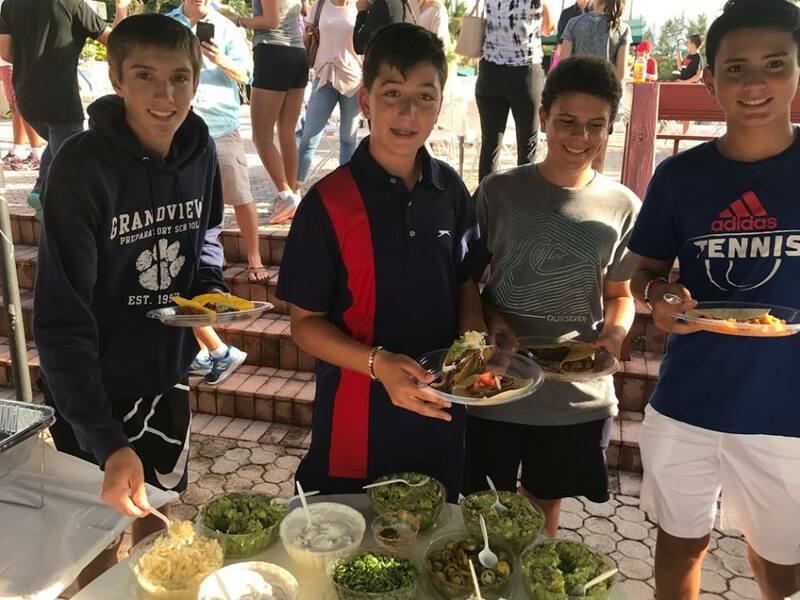 RMTA never enrolls more than 50 students at a time – this is not a tennis factory. All students who attend RMTA should schedule private lessons with Rick while training at the Academy. No other coach has achieved the level of respect, on and off the court, as the legendary Rick Macci. 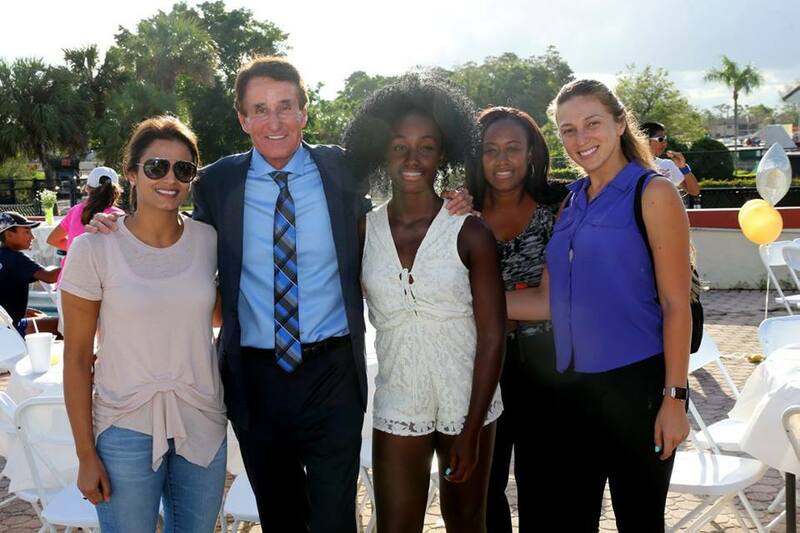 He continues to give back and make a difference, not just in tennis, but also in young peoples lives. Rick’s experience over the past 30 years in molding a player is unmatched by any teacher in the world. 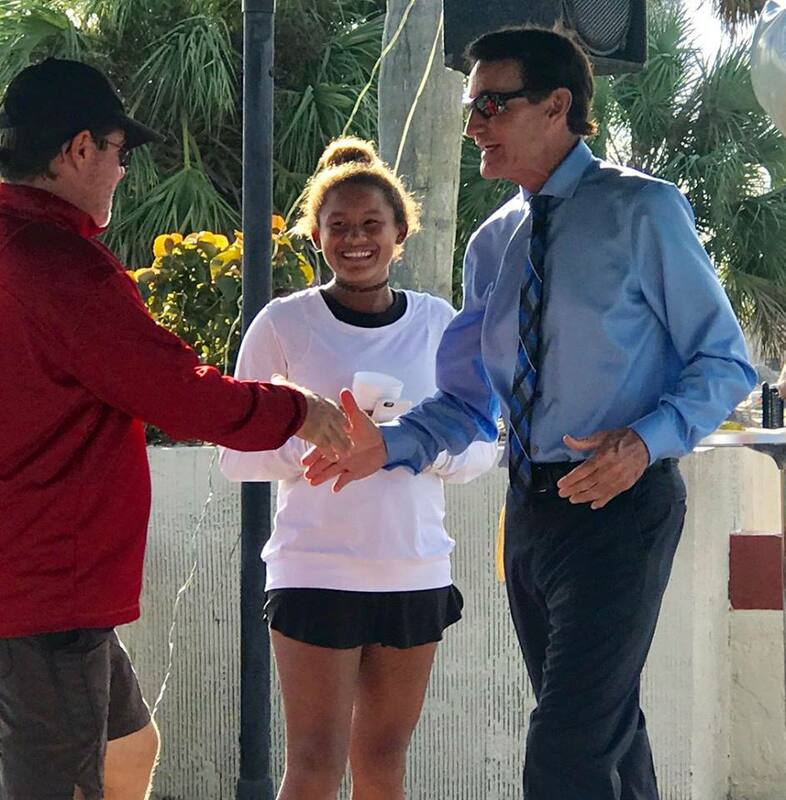 As a USPTA Master Professional, Rick trains other tennis pros and coaches how to teach, motivate and communicate with their students to “deliver the goods”. Experts agree that Rick’s insight to explaining and presenting the psychological triggers of an athlete is a gift that very few coaches’ possess and can deliver. 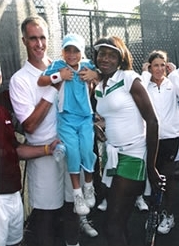 Rick has the distinction of having trained and worked with five players that have reached Number One in the tennis world on the Men’s and Women’s Tour including: Andy Roddick, Venus Williams, Serena Williams, Maria Sharapova, and Jennifer Capriati. 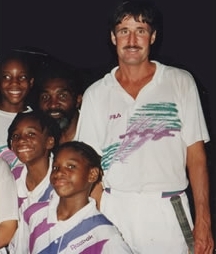 Rick’s hands-on approach and overall unique ability to analyze and correct technical, strategic, and mental deficiencies, and deliver the message like no other, has resulted in over 124 USTA National Championships since 1985, and all four Junior Grand Slams. The list of players on both Men’s and Women’s Tours that have been influenced by the 7-time USPTA Coach of the Year is like a “Who’s Who” of tennis. Donald Trump Management from 1998 to 2002. 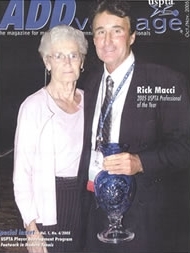 October 2017 Rick Macci was inducted into the USPTA Hall of Fame USPTA Professionals to become the 19th professional honored. 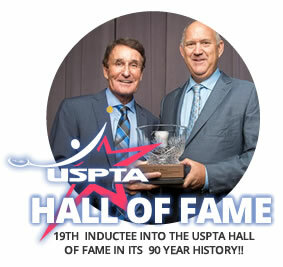 The USPTA Hall of Fame is the association’s highest honor and serves as a place to recognize excellence in the tennis profession and commitment to USPTA, the world’s oldest and largest association of tennis-teaching professionals. 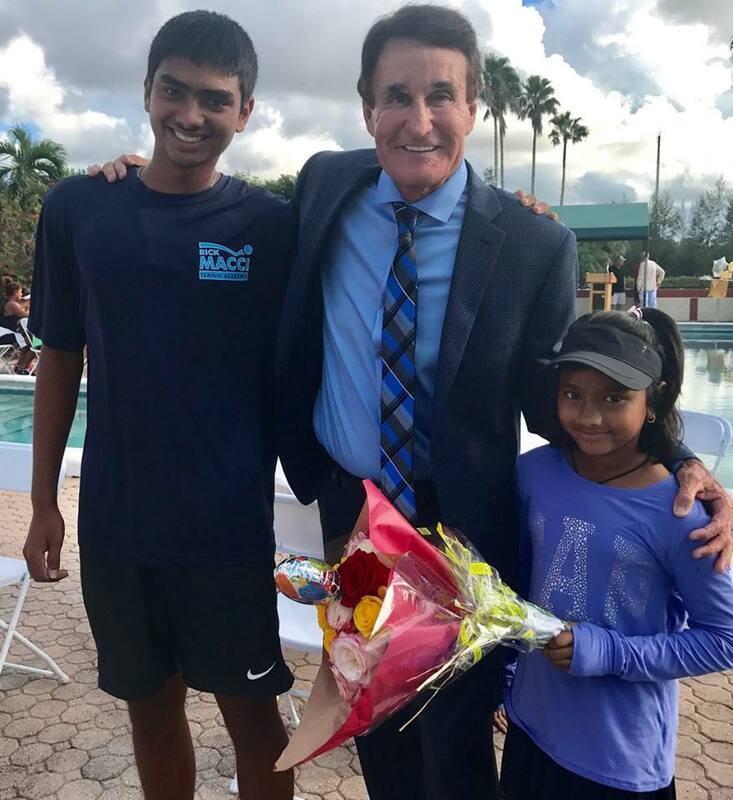 In 2010, Rick was inducted into the USPTA Florida Hall of Fame and serves as a consultant on the USTA Player Development Program in Boca Raton, Florida. Rick has been the #1 tennis consultant for Donald Trump and T. Management. 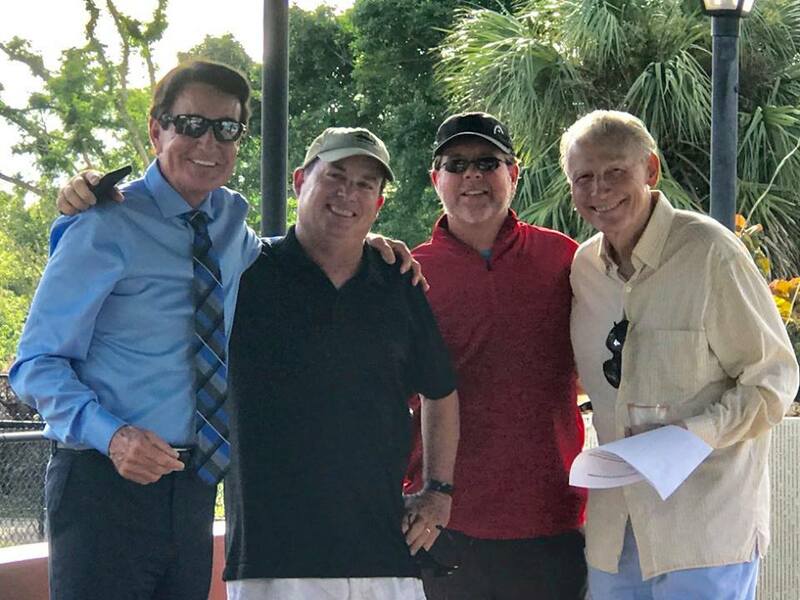 Rick has appeared on Sixty Minutes, Today Show, Good Morning America, Inside Edition, Day One, CBS, NBC, ABC, CNN, USA, ESPN, Tennis Channel, BBC and sports talk radio shows around the world..
Rick sees the game like no other and is one of the most sought-after clinicians and motivational speakers in the country. 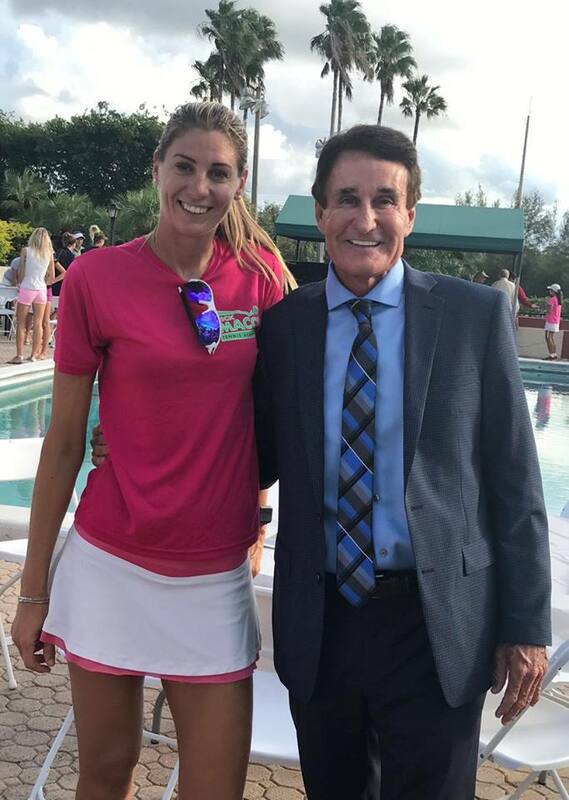 His worldwide credibility as a communicator and presenter of developing and molding talent is unmatched in the tennis industry. 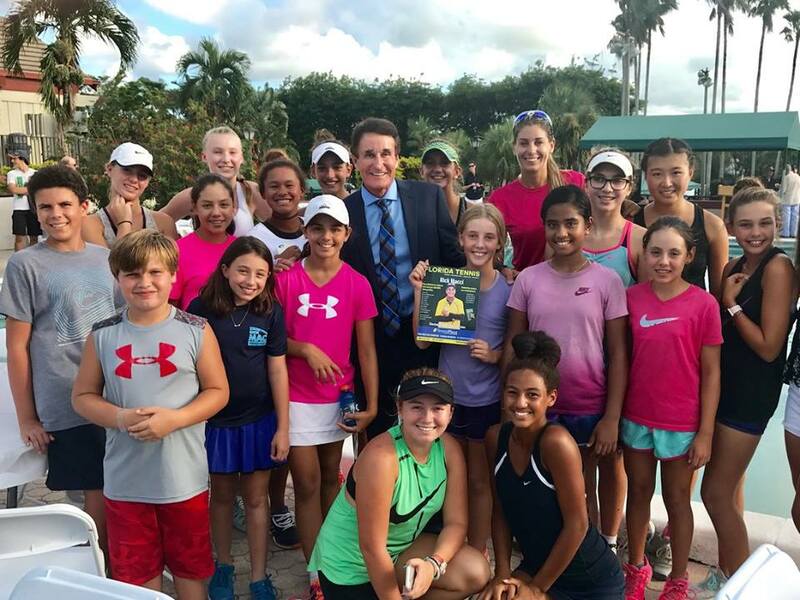 Rick is the featured teaching pro on the award-winning instructional tennis videos (produced by the USPTA) that frequently airs on the Tennis Channel. Rick has received Hall of Fame induction honors for his accomplishments in basketball and tennis in his hometown of Greenville, Ohio. 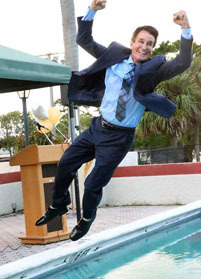 Rick’s athletic background in competing, mental toughness training, and his world-renowned communication skills have catapulted him to the top of the teaching profession globally. Rick is recognized in the tennis professions as the premier teacher for correcting technical flaws and building weapons. Rick has worked with some of the best athletes in the world and with parents who themselves have participated in professional sports and the Olympics. He is available to all players of all ages for one-on-one private lessons which is the real key to talent development. With no more than 50 students per week, Rick knows how to develop talent and maximize one’s ability. 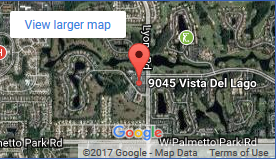 If you want to build a game for the future and cultivate world-class weapons, come to RMTA located at the luxurious Boca Lago Country Club in Boca Raton, Florida and experience the Macci Difference!